Past president David Boucher (left) and sponsor Darren Foy (right) join in ceremonies inducting Walker Williams into the Capital Rotary Club. Williams, a portfolio designer for Anchor Investment Management, is a Columbia native who earned a finance degree from the University of Georgia and a Master’s in Business Administration from the University of South Carolina. He was a banker, securities trader and small business owner for 11 years. Williams is married to the former Laura Pinnell of Augusta; the couple has three children. 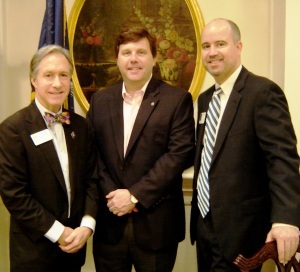 Williams also has been active in the Boy Scouts, the Hammond School board of directors, the vestry at Trinity Episcopal Cathedral and the Executives Association of Greater Columbia. Author and former Franciscan Monk Bill Beltz, from the Rotary Club of Oakatie (left) is congratulated by Rotary Cub of Beaufort President Willie Mack Stansell (right) following his March 1st presentation to the Rotary Club of Beaufort. Bill spoke of his time as a Franciscan Monk and about his recently published book “The Buried War,” which told the story of his father, a World War II veteran who suffered from PTSD following his return from the Pacific Theater of Operations. 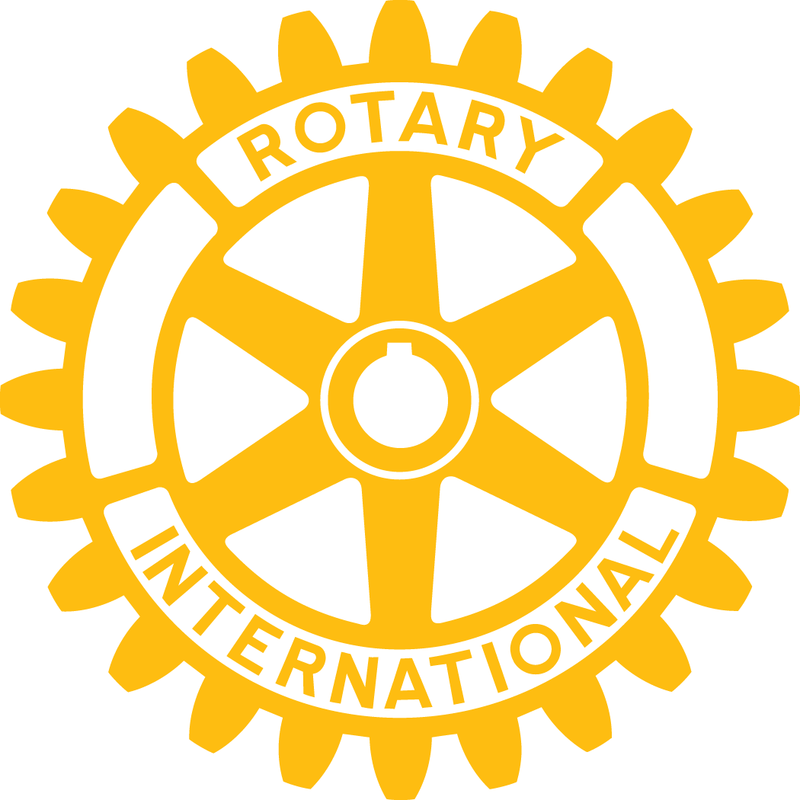 Each month, volunteers from the North Charleston Rotary Club assist the Lowcountry Food Bank. Through this community service project, club members help package the bulk food supplies for distribution to those in need. We were excited to participate in the 2017 Rotary Has Heart program as we celebrated Valentine’s Day while helping the Food Bank’s effort to fight hunger in our community. Our club is in great financial shape with over a quarter of a million dollars in equity. This week’s speaker is Darrin Goss, President & CEO of the Coastal Community Foundation. 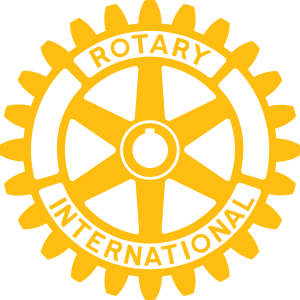 The Rotary Club of Moncks Corner meets every Thursday at 12:30pm, at Gilligan’s Restaurant. The Club is also proud to welcome new member Maggie Bryant. Maggie is our first corporate member! She is already very active in our club. We also recognized member Susan Walters as a first time Paul Harris Fellow! Susan is new to the club this year and has already stepped up to be a Paul Harris Fellow! (Pictured is Susan Walters getting “pinned” by our Foundation Chair and Area Assistant Governor Butch Byron). Great thing are happening at the Cayce West Columbia Rotary Club from honoring and recognizing our wonderful students of the months, to our yard sale for students scholarships, to our stuffed animals’ donations to Happy Wheels and purchasing brand new shoes this past Saturday for 3rd and 4th graders with our Happy Feet project! Service above self while making a difference in our community. Join us one Tuesday and see what all the fun is about!